DNS servers are the most important things and you can call it as the barebone of the internet. Without DNS servers, we can't access to any websites or services from your computer. 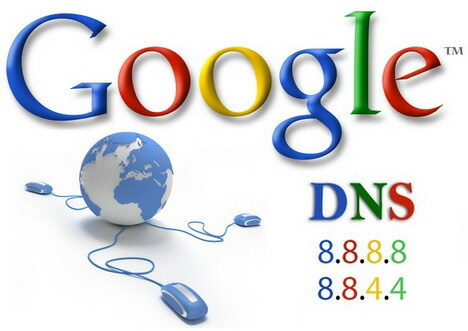 If you are use default DNS server from your internet service provider, I would suggest you change to 3rd DNS server services like OpenDNS or Google DNS as it's more reliable and faster. The 3rd DNS server services also could help you to fix most DNS errors you might got while using your computer, ﻿including DNS server not responding error on Windows computer s﻿. So, if you have any issue with your default DNS server, just simply switch to 3rd DNS server services that we have mentioned above. These services will help you solve DNS problems in a few seconds. Note: If after replacing your default DNS server on your computer or wireless router with a third-party or premium DNS server service, but the DNS error persists, I would recommend you to reset your LAN/WAN IP address, as well as flush all DNS cache on your Windows computer. Here are a few helpful tips and tricks that might help you to diagnose and troubleshoot most of DNS errors. You can change to Google's DNS or OpenDNS. Use another internet browser, such as Mozilla Firefox, Microsoft Edge, or Opera to test and verify the scale of the problem. Use Command Prompt and its NET commands to reset IP address and network socket. Use Command Prompt and the ipconfig /flushdns to clean up / remove all DNS cache that stored on your Windows computer. I hope these simple tips can help you to understand more about DNS, DNS servers, and your Windows computer. These tips can also help you to diagnose and resolve any errors that related to DNS or DNS server. For any questions or problems, don't hesitate to ask.